USATF announced this morning that Abbey D’Agostino will not be able to compete in tomorrow’s 5km final due to extensive injuries to her right knee that she sustained when she fell during yesterday’s preliminary round. The MRI images taken after the race showed D’Ags had a complete tear of her right ACL, a meniscus tear, and a strained MCL. She will need surgery and will be out for the remainder of the track season. D’Ags made headlines yesterday with her great display of sportsmanship and Olympic spirit as she encouraged New Zealand’s Nikki Hamblin – who fell with D’Ags – to continue to race, followed by Hamblin’s support as D’Ags struggled to finish. 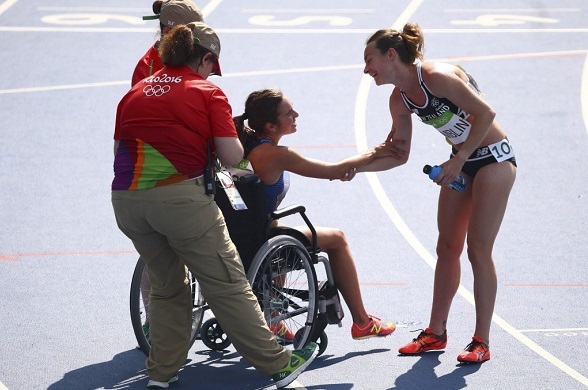 Their embrace after the finish line has become one of the iconic images of this Olympiad, and the story has made headlines around the country and was trending on facebook yesterday afternoon. “Although my actions were instinctual at that moment, the only way I can and have rationalized it is that God prepared my heart to respond that way. 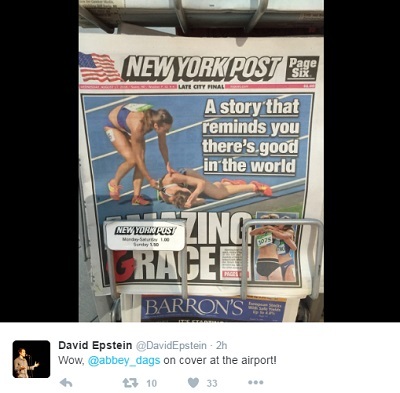 This whole time here he’s made clear to me that my experience in Rio was going to be about more than my race performance — and as soon as Nikki got up I knew that was it,” D’Ags shared in the USATF press release. 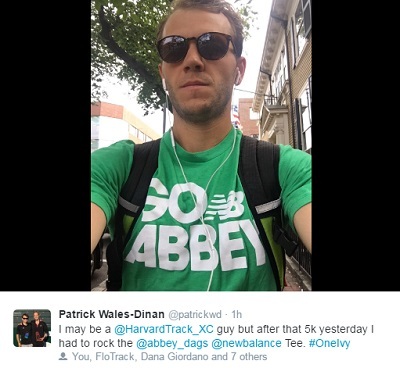 D’Ags has received a lot of support on social media from former collegiate competitors. We wish Abbey a speedy recovery and look forward to seeing her compete again next year. This entry was posted on Wednesday, August 17th, 2016 at 9:10 am. It is filed under Olympics, Spotlight. You can follow any responses to this entry through the RSS 2.0 feed.